As you may remember, I currently have IS250 AWD sedan and a Suburban and I was looking for a 2-door coupe with decent power (300+ ponies), RWD, and a manual transmission. I got lots of great suggestions and now some front-runners are appearing. So which one will end up in the garage sometime late summer, early fall 2013? I'm sure you already jumped down to look at the pictures below, but the candidates are all BMWs. I have never owned one and based on my criteria above, they make several options that fit those paramaters, the E46 M3, the 135i and the 335i. 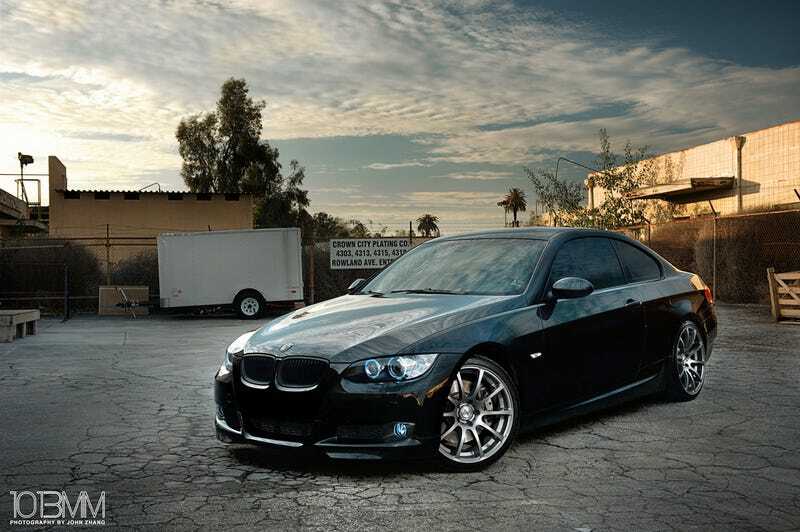 Pictured above, the BMW 335i has become a leading candidate, and dare I say, the front runner. The combination of power, handling, tunability (chip it good! ), and good looks are winning me over. Ranging from 2007-2010 in my price range, the E92 has a lot going for it compared to it's competition, also from Bavaria (detailed below). The N54 engine is great and I have had some friends with a mild chip/tune really bumping the HP numbers up (as much as 100hp, OMG!). What sets it apart from candidate two below is appearance, in my opinion it has much better lines than it's sibling with the same engine. Downsides are that it isn't quite as muscular and agrressive as it's M3 counterpart from an earlier generation. But I feel like a new set of wheels would help fix that. Candidate two isthe BMW 135i, fresh of it's nomination as a future classic by Patrick George. Admittadely I was intrigued by the smaller Bimmer. Ranging from roughly 2008-20011 in my price range, the little BMW has a lot going for it. As stated in the PG article, the 1-series has a lot of the same positives as the 3-series, it's just smaller. Although considering how much smaller it is, the 200-300 lbs weight different between the two doesn't seem that significant. Although I haven't driven either so perhaps the 1 will blow me away with it' sveltness compared to the 3, but that is to be determined. It is admittadely behind the 3-series in my mind purely based on aesthetics. The smaller car looks like it was styled with a mouse and someone started with a normal proportioned car and started to grab and shrink the car down to what sort of looks like a shoe to me. And finally, everyone's favorite, and already a classic, the E46 M3. We have already seen what I think about this particular car as I stacked it up against my Lexus and an FR-S. It's a fantastic car, and I would likely not have to do anything to it from a modification perspective. Admittadely we are looking at an older model (2004 or earlier) which may have some miles than the newer BMs above, but I can probably find one that has been used a bit less. I also have a nice checklist from the owner of the E46 in my article that outlines all of the things to ask for. So the question is, is this a better option than the 335i? What say ye Oppo?